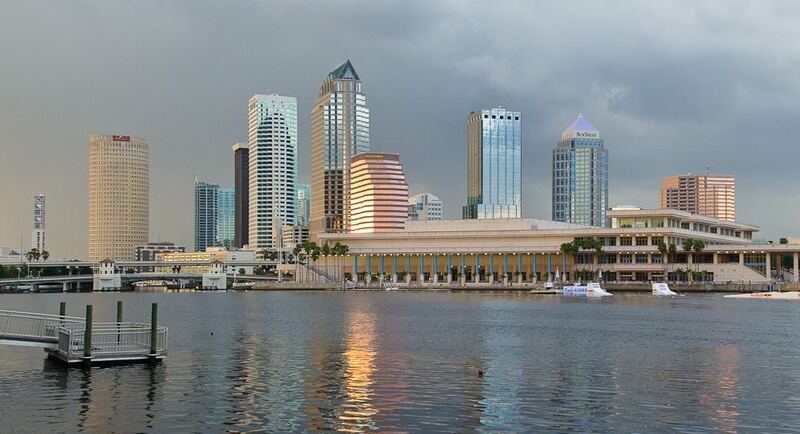 The third largest city in Florida, Tampa is located on the coast of Tampa Bay Gulf. Tampa was added to the territory of the United States in the middle of the 19th century. Even at that time this was a promising and a rapidly developing industrial area. In the end of the 19th century the city became very famous due to the tobacco company that had produced best cigars in the region. Later here were founded large factories targeted at extraction and processing of phosphates. The tourism sector started developing only in the second half of the 20th century. During several decades hundreds of modern skyscrapers, beautiful restaurants and hotels were built in the city. Today Tampa is considered one of the best resort cities of the United States. Many people call Tampa "the city of entertainments". Busch Gardens Park has become a favorite place of rest for both locals and tourists. This park is adjacent to a water park named "The Island". Here you will find numerous water rides, pools and water slides. Little visitors can play in children's play rooms of enjoy tasty dishes in the local cafe. Ybor City district, which looks pretty contemporary nowadays, is actually the oldest district in the city. It was here that numerous cigar factories used to locate once. Many historical buildings have been destroyed over recent years. Stylish skyscrapers grew in their place. Today, only Cigar Museum reminds of the historical past of the area. The museum occupies one of the old buildings. Lovely old trams provide shuttle service around the block. The Scientific and Industrial Museum enjoys great popularity among the guests of the city. It is one-of-a-kind in the United States. The museum is especially loved by tourists with children, who always become participants in exciting experiments, learn a lot of new and important information about the surrounding world. The museum contains a wonderful garden full of butterflies, various interactive exhibits, and a special hall where everyone can experience the intensity of a hurricane's force. The museum presents more than 450 different thematic expositions as a whole. You'll need hours to study all of them. There is an excellent theater in Tampa, which will be of interest to absolutely everyone. They hold performances of various genres. The repertoire of the theater will appeal to both admirers of the classics and fans of bright theatrical novelties. They often organize special events for children, as well. 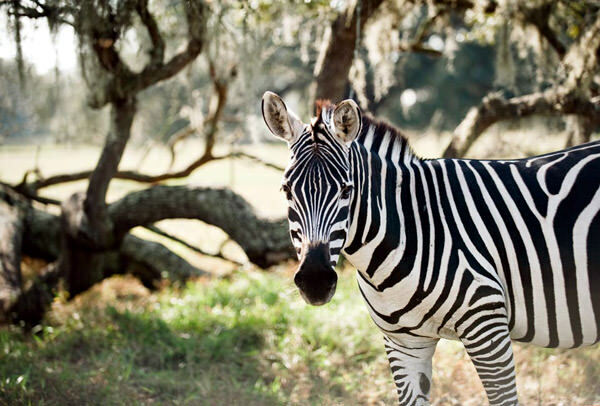 The Tampa Zoo is a popular tourist destination, as well. It has become home to 2000 species of animals. The zoo has a very beautiful design. It is equipped with special animal pens, maximum close to the environmental conditions. Visitors are allowed to pat and feed the animals. You can make excellent memorable photos during your tour. There is also a terrarium and a special reptile exhibition on the territory of the zoo. In a beautiful building made of metal and glass is located the Aquarium of Florida. It keeps a collection of more than 20000 aquatic plants and animals. For the convenience of visitors, the collection is divided into four zones. You can see not only colorful exotic fish but rare species of sharks, sea turtles, rays and other deep-sea habitats. This guide to iconic landmarks and sights of Tampa is protected by the copyright law. You can re-publish this content with mandatory attribution: direct and active hyperlink to www.orangesmile.com. Check on the map: Distance from Tampa center - 62.2 km. All about Tampa, USA - sightseeings, attractions, touristic spots, architecture, history, culture and cuisine. Prepare your trip together with OrangeSmile.com - find out the 'must see' things in Tampa, which places to visit, which excursions to take, where the breathtaking views are waiting for you. Planning your trip with this travel guide will help your to get the most out of Tampa in few days.